Keen to introduce children to coding but not sure where to start? We’ve been trying out the (absolutely adorable!) Learning Resources Botley the Coding Robot Activity Set this week and have been amazed by it’s ability to engage children in coding. Not only that but it’s a brilliant, novel toy- that truly captivates children’s imagination. Botley is a blue robot that children can program to move in sequences of different directions (forwards, backwards, left and right) across the floor. He also has clever features such as being able to perfectly follow a black line and amusing characteristics like his humming of a ‘dum de dum’ tune, whistling and his ability to tell you when he gets dizzy! Engages Children in Coding– This is a brilliant way of making coding and programming appeal to kids- Botley is funny, he’s cute and he’s easy to use. Simple Remote– What’s particularly brilliant about this learning resource is the simplicity of the remote control. 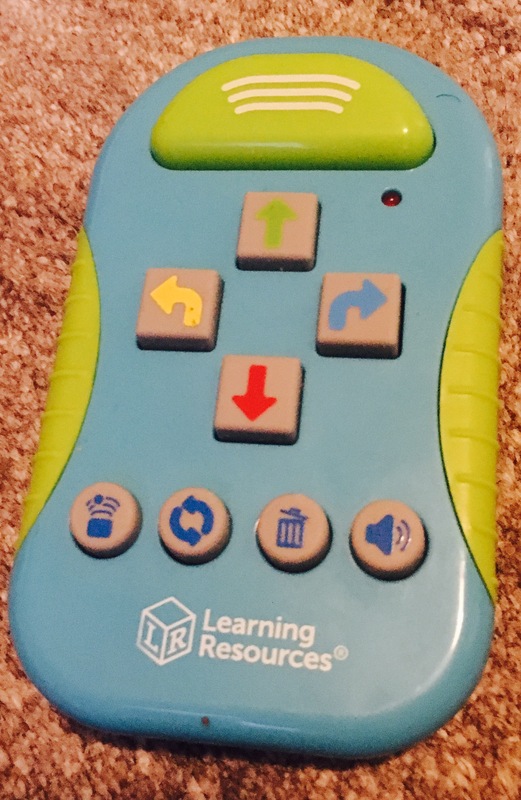 The remote has no words on it, just symbols- meaning literacy skills aren’t a barrier for learning. It is also screenless and you don’t need to use a computer/phone/tablet to work it- so it’s a fun, coding activity that doesn’t involve screentime. 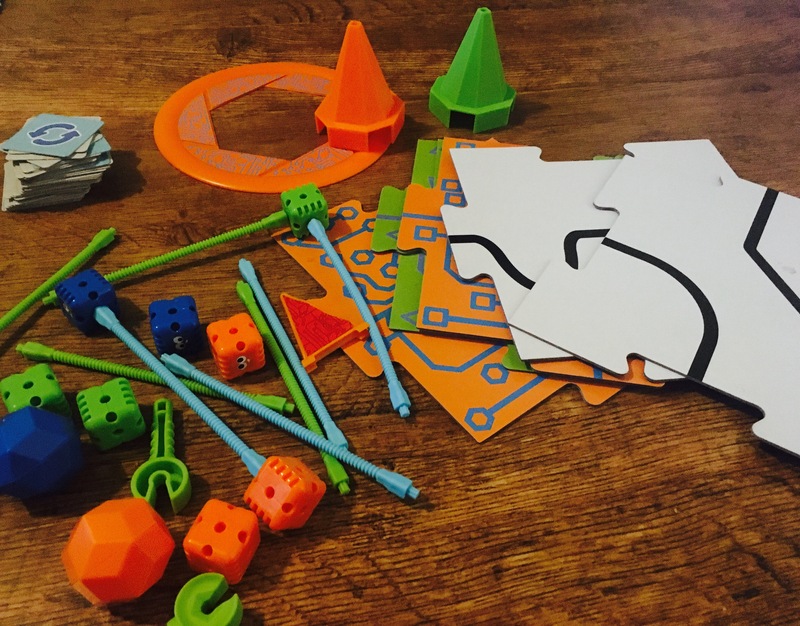 Extras– Botley the Coding Robots Activity Set comes with tonnes of extras- making it even more exciting to play with. For example, there’s 40 coding cards to help you remember which directions you’ve used to programme botley, obstacles to set up and balls to get botley to move round. Extend Learning– This toy can take coding and STEM to the next level. There’s an activity guide full of suggestions that children can try out to teach Botley lots of tricks such as avoiding obstacles, moving objects and even how to say ‘hi’. He/she looks fun. A more appealing alternative to the ‘roamer’ currently in use at our school! Yes- it’s like a more modern version and much more child friendly as it’s like a toy!